Tech Forum is happening soon at UAT! We're bringing in a bunch of speakers to talk to us about all kinds of projects and things happening in the industries! Check out our blogs for information about the speakers we have coming! Elie Platt is from Pittsburgh PA. He went to school at UAT for a Bachelor of Arts in Game Design and Graduated in 2009. 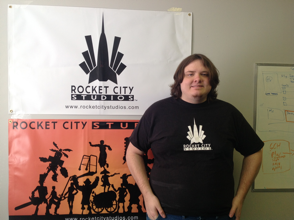 He landed a job as a World Builder at Rocket City Studios. With hard work and dedication he worked his way up to "Lead World Designer".